When researching the world of Irish dance for the entirety of a semester, I found that the community is very focused on competition and not as much on tradition (what it used to be based on), as well as the scoring system is very out of date. 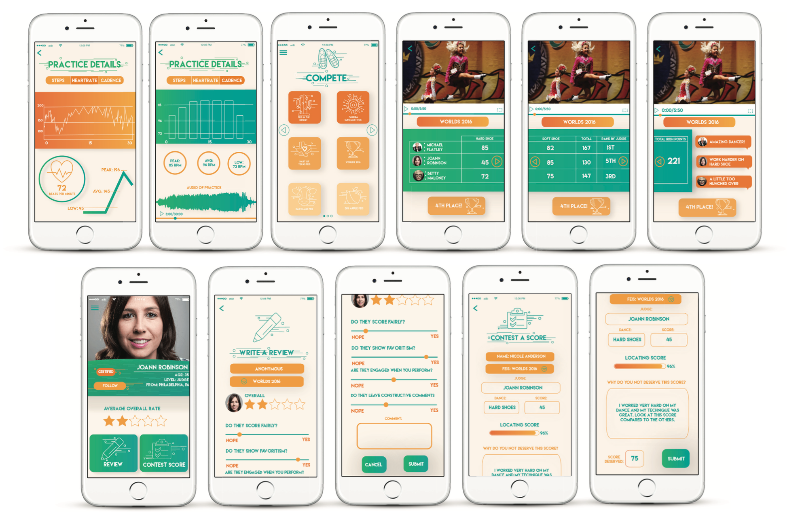 This app is designed in order to modernize the scoring system and put it in a digital format as well as allow the dancers to review a judge and contest a score. This allows for a more fair scoring system and nonbiased judges. The health statistics in the training section also help with focusing on improving rather than winning. The overall design is meant to be sleek and easy to use while still being fun and colorful, thus appealing to its young audience.